One of online video’s superpowers is to build stronger human connections, and Wistia has been known to champion live action videos for this purpose, but animation can be just as effective for a lot of different use cases far beyond your front page product explainer video. In our recent ebook collaboration with GoAnimate, we dove into some specific examples of how businesses have incorporated animated video into their content strategies. In the ebook, Wistia community member and freelance animator Austin Saylor weighed in with some ideas about why animation can be so effective. But just one quote from Austin wasn’t enough for us, so we decided to ask him about how he got started with the medium and how animation can help businesses communicate better. WISTIA: How did you get started with animation? How did you decide to make a career of it? AUSTIN SAYLOR: In retrospect, it seems like an obvious path. I was a graphic designer for several years before I started learning how to tell stories through video production. I started animating graphics for those videos, which eventually progressed into fully animated videos. I started really investing in myself by taking MoGraph Mentor and Animation Bootcamp, working hard early in the morning, nights, and weekends. My job at the time had me doing all sorts of design and marketing tasks, but I wanted to focus on motion design, so I built up some clients, saved several months worth of money, and left the job to become a freelance motion designer. And a fun twist is that six months into freelancing, I just joined the MoGraph Mentor team part-time as Product Director! 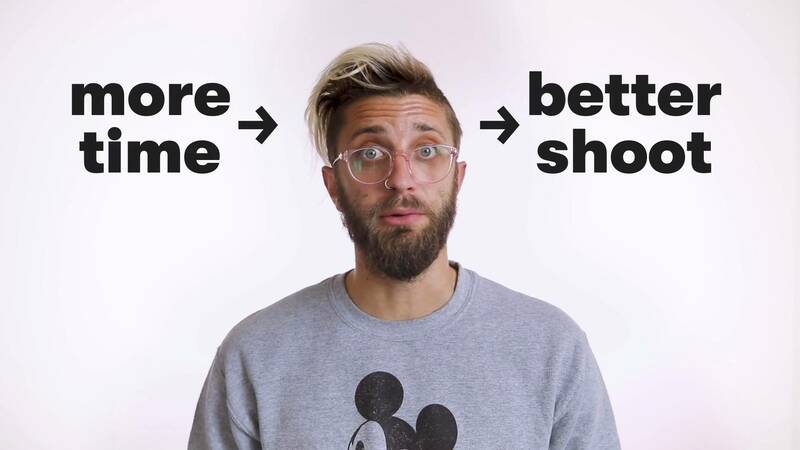 WISTIA: How can animation help business? How do you align your projects with a client’s business goals? AUSTIN SAYLOR: Animations can explain complex ideas in a simplified manner, also known as explainer videos. They can express a vision to their audience and elicit great imagination. They can be used on top of live action shots to further hit home a concept. Last but not least, Animation is a great way to pull out characteristics of a brand that may not be evident in still graphics. The first conversation I have with clients is about their goals. It’s so important to uncover the deeper problem that needs to be solved and not just ask what kind of animation they want. Maybe an animation won’t solve their problem. If animation won’t help meet their business goals, I have no business taking their money. I’m not in business to convince people they need animation. I’m here to provide true value by delivering a product that will meet their goals. WISTIA: What are some reasons a business might choose to use an animated video over live action? AUSTIN SAYLOR: Animation is a great tool for communicating ideas that might not translate well to live action videos. One advantage that animation has over live action is that it isn’t limited by the camera, the lights, the real world. It’s only limited by the imagination. If you want to tell a story through video that involves faraway locations, animation might be the right choice for you as well. I am a big fan of live action videos that incorporate animation. If you can’t get the B-roll footage that does the trick, animation is a great way to go. 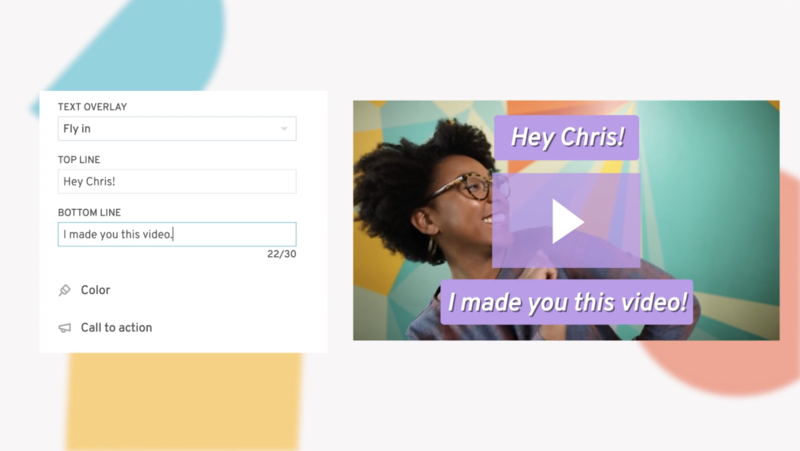 WISTIA: At Wistia, we’re big advocates of humanizing your marketing using video. How do you create a human connection using animation when there’s not a live face on screen? AUSTIN SAYLOR: I’m going to get a little philosophical on this answer. In Understanding Comics, Scott McCloud talks about how faces that are drawn with minimal detail (vs. photorealistic) allow anyone to identify with them. It’s understood to represent the idea of “human.” So while live video certainly helps humanize your company, animation with simple characters could help your audience connect with the hero character that your brand is there to help. The photorealistic face on the left is one specific person. Few people will see that character and think, “That’s me!” On the far right, the simplified smiley could be anyone. Almost anyone could look at that face and imagine it’s them. I don’t think this means that all faces on screen should be plain smileys, but it’s something worth considering. WISTIA: What is your process for creating an animated video? AUSTIN SAYLOR: I have my full process written out on my website, but here are the basics of the design and animation side. If I’m working directly with a client, we have a conversation about goals. 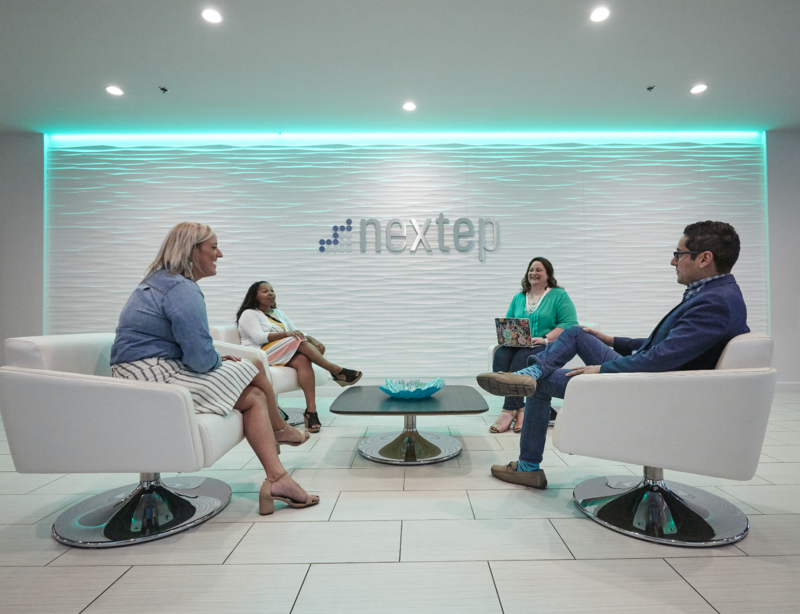 I ask a lot of questions about their business and their audience, and where they want to be in the next year/five years. If I’m hired as an animator for a studio, I ask to get filled in on as many details as they have. I start the design process by sketching to explore the right direction. The sketches are incorporated into a storyboard. The storyboard places the content into the timing of the animation. An animatic is a rough video made out of the storyboard sketches, put on top of music and voiceovers (if the project calls for these). Style frames are still images of key parts of the animation. The purpose of style frames is to build the look of the project and assure the style is consistent throughout. I usually create style frames in Illustrator or Photoshop, depending on the art direction. If it’s clean, flat vector art, I’ll go with Illustrator. If it’s more painterly and expressive, I’ll do these in Photoshop. This is where things start to move. I start with a rough pass of the whole animation. This is nothing pretty at first, but after a few passes, everything starts coming together. I work in After Effects 95% of the time for animation. I have been experimenting with Photoshop’s timeline feature to draw frame by frame animations, but I haven’t made a full animation with Photoshop yet. A lot of animators get caught up in trying to make something look realistic. The best advice I’ve heard is to make something believable. Disney and Pixar characters don’t look realistic, but the animation makes them believable. If you’re interested in getting into motion design, I would advise you study these three disciplines: Design, Filmmaking, and Animation. You need all three to be a great motion designer. If you’re interested in adding motion design to your business videos, I would advise using Illustrator to build graphics that match your branding, importing them into After Effects, and adding Easy Ease to an animations you use (right click keyframes > Keyframe Assist > Easy Ease). But if you want to make your animations more believable, learn these 4 Graph Editor Basics. I want to emphasize one more thing that is super basic, but I think it needs to be said more often. Practice. Practice. Practice. If you want to make better animations, you have to make more animations. Don’t focus on making only perfect creations. The person who makes 100 animations will be far better than the one who spends the same amount of time trying to make one perfect piece. 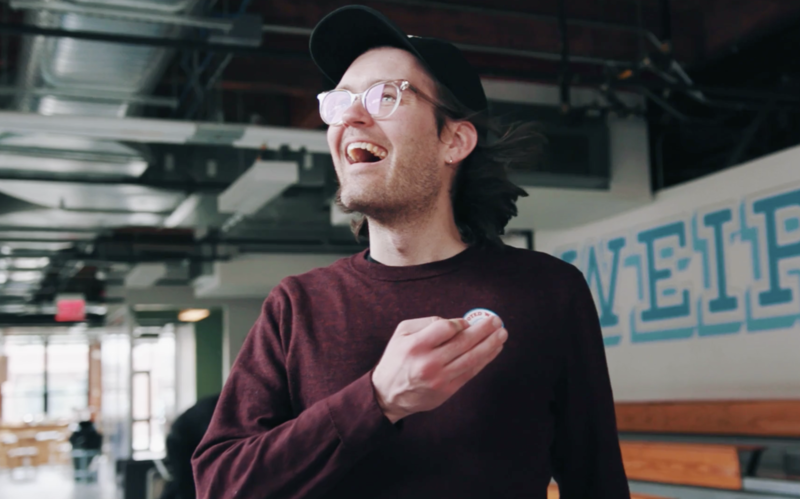 WISTIA: How do you stay creative within the constraints of client projects? How do you keep creativity flowing in general? AUSTIN SAYLOR: In my experience, creativity comes alive with restraints. If someone told you to go make something creative with any tool, any story, any medium, any location, etc., you would get stuck before you got started. But if you’re given a box of playdough, a frisbee, three old TVs, and a deadline, you know exactly the box you’re in, and you go to town pushing against those constraints to make something really creative. So when it comes to client work, there are almost always natural constraints like brand guidelines, deadlines, and business goals. 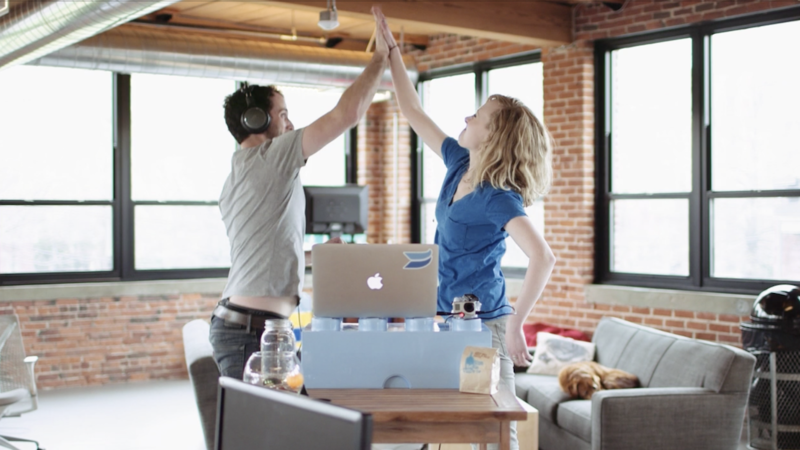 WISTIA: What are some of your favorite video projects you’ve worked on and why? AUSTIN SAYLOR: My favorite video project is the one that looks like the A-Ha music video “Take On Me.” It was one of the first animations I ever made. The owner of the company where I worked at the time asked me if I could mimic the style of the ’80s hit music video. I love a good challenge, so I jumped into the deep end and just figured it out as I went. This is my favorite project because I didn’t have any preconceived notions of how to achieve the look. I didn’t even know how to animate anything. So I found a way around those facts and produced a video that I’m still very proud of to this day. WISTIA: What are some inspiring videos you’ve seen from others recently? Fix Florida by Giant Ant for Costa Sunglasses - This is one of my favorite animations. It’s a beautiful example of how animation can tell a story (beyond just an explainer video) to move people to take action and simultaneously build a brand image for a company. This film could not have been done the same way with live action video. The transitions, the mixed perspectives, the colors, everything was just so perfect! Slack - Work, Simplified by Giant Ant. I’m really digging frame-by-frame character animation. It’s beyond my current skill set, but I’m practicing on my own to get there one day. Blend Manifesto by a bunch of amazing designers/animators. I love the use of different voiceovers to give the piece a community feel. 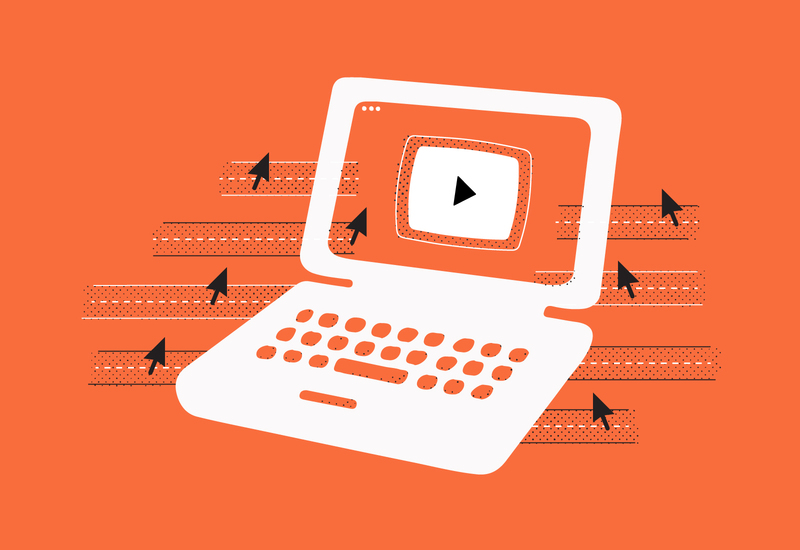 Wistia and GoAnimate walk you through how to convert video views into leads.